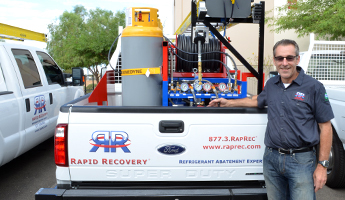 Rapid Recovery’s unique gasoline powered recovery machines can be viewed as time machines that give your hard-working technicians back the time that they lose doing refrigerant recoveries themselves. Imagine all of your refrigerant recoveries being completed over 10x faster than before, no more lugging tanks, hoses, cords and recovery machines! Simply pick up the phone and you’re done, Mike and his Team of specialists will take it from there. Our specialty is high speed refrigerant recovery on job-sites and your shop or crane yard. 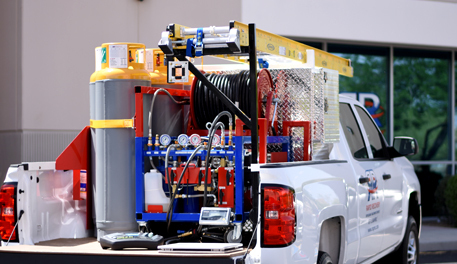 We will even come by your facility on a regular schedule to empty your recovery cylinders. All services include detailed EPA documentation for every job and a Year End Report. This will keep the EPA our of your wallet and off your back. We can also ensure your future supply of R-22, R-11 and R-123 with our Reclaim & Return Service. 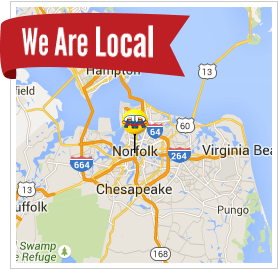 Contact your local Norfolk team today to get a quote on your next project.